Ji-su Park is currently 10th in scoring and 3rd in rebounding this season. 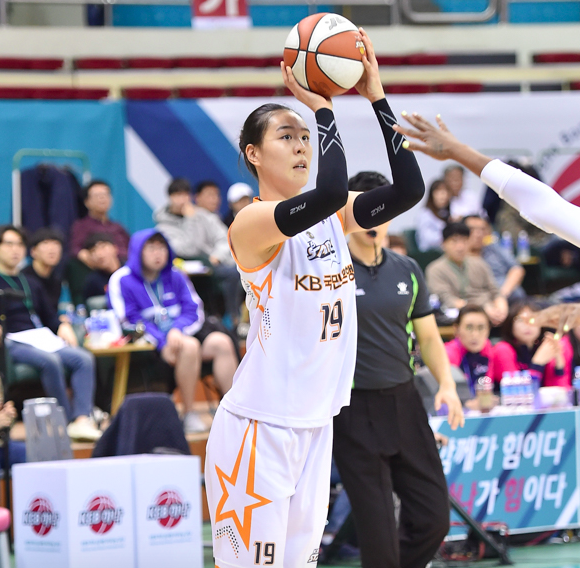 WNBA rookie Ji-su Park is off to a great start in her home country being named MVP of the first round of play in the Korean League. 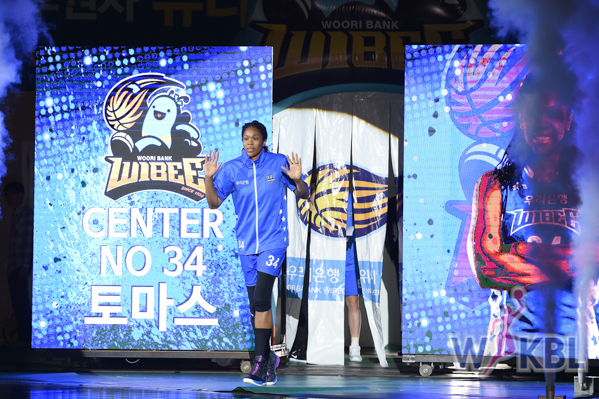 Park led her team to a 5-1 start while averaging a double double of 12 points and 11 rebounds. KB Stars currently sit in second place just behind defending champions Woori Bank. Her time spent in the WNBA looks to be paying off as she has been more physical and a more all around player. She averages almost 5 assists as a center. 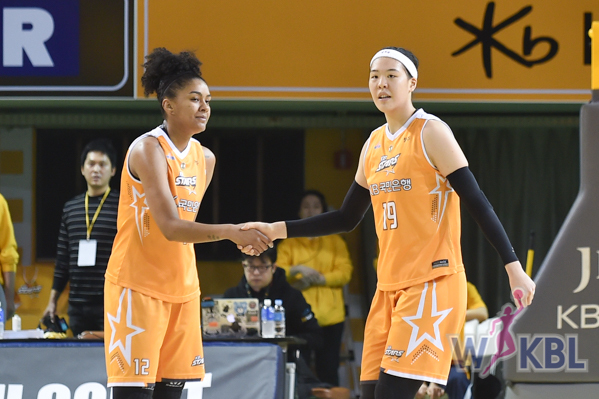 Her work this season will pay dividends when she returns to the Aces this summer more prepared for play in the W.
KDB hosted Shinhan Bank Thursday night after both teams were coming off a loss in their previous outings. KDB has struggled in the interior as they have been playing with only one post player after losing their starter to an acl tear earlier in the season. Shinhan outrebounded KDB 35 to 55 which made all the difference in the game. 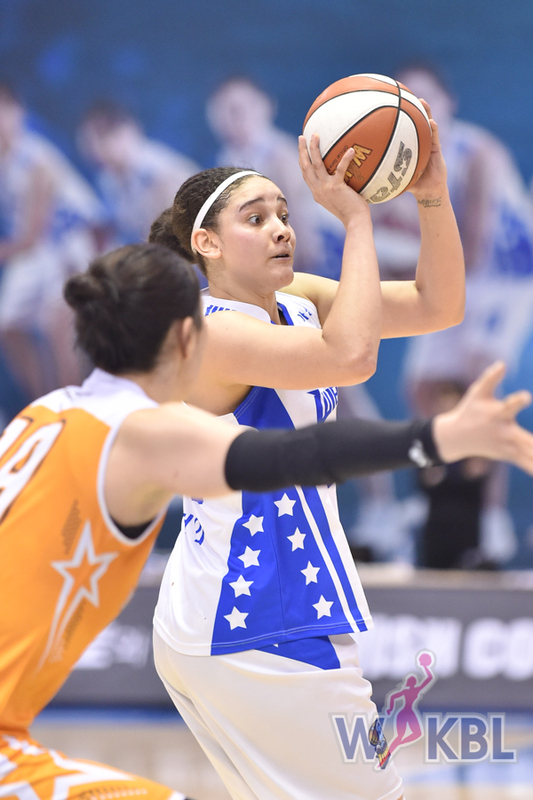 Scoring only 22 points in the first half, KDB could not find their rhythm on offense without their leading scorer Jewel Loyd who missed the game due to injury. Things didn’t get much better in the second half for the hosts as they put on a valiant effort but still came out with another loss on their record. 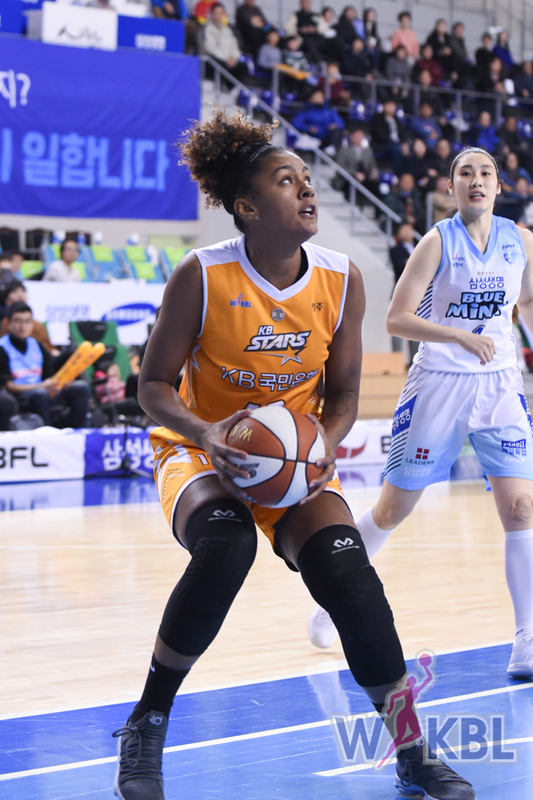 Kayla Thornton led the way for Shinhan finishing with 20 points and 11 rebounds in the win.